Do a good deed and make someone happy. Small good deeds can make a huge difference. If everyone in your local community picked just one good deed from the list below, in just one day there would a noticeable shift in emotional states within the community. Just one positive deed could lead to change in the dynamics of your community. Positive actions lead to positive change. Do a good deed and make someone’s life a little better. 1. Smile, Smile, Smile! – This is such a simple act that can change someone’s state in a instant. If a grumpy or upset person offers you a frown on a straight face, then give them a kind smile. A simple smile can cause them to feel better. Many people mirror other people instinctively through the magic of rapport and if you give them a smile they may instinctively smile as well. A smile can make us feel better no matter how we are feeling. 2. Lets share – This applies to all online and offline business and organisations. Most of which require people to spread their ideas for them in order to succeed. Even blogs (like mine) can benefit greatly from the share buttons that Facebook, Twitter, and LinkedIn provide. If I like something, I damn well share it. I want them to succeed. Lets share all that is great. 3. Be extra patience with stressful people – This is not only a good deed for the person you are directing your patience towards, but it is also a good deed for your own internal locus! For example, when someone is purposely trying to rub you up the wrong way by doing something irritating or rude, you can choose to act with patience and understanding instead of frustration. This will benefit you by keeping your blood pressure down and your stress levels low – which we know are two health issues that many people are suffering from today. 4. Be selfless and let someone else go first – It seems that as a society we have become so rushed off our feet that we are constantly ignoring our surroundings, not giving a thought for our fellow citizens whether it be cutting each other up in our cars and with our bodies. Not many of us give way. If you aren’t in a rush for any good reason then let them pass. They may have a valid reason for it. 5. Stop a bully – Bullying happens all over the place at school including the workplace and even just out and about in public places. I’ve seen people being shouted at by bullies for various reasons that do not warrant the punishment delivered. The person being bullied is likely to feels alone in their struggle, since bullies tend to have a dominant personality, you standing beside someone who has a less dominate nature can help dilute the situation and stop the bullying from happening. This doesn’t mean that you should become the bully, but it does mean that you should stand by someone who is being bullied and take part in making their day better. 6. Be kind, hold that door for another – I bet there has been countless times when you been walking through a door with your hands full and had it slam into your arm? This happens to many of us every day. In most cases, that if you are walking through a door, then immediately behind you someone else will not be too far behind. Take a moment to shift your attention to the people around you and hold the door open for all people who coming in. 7. Give someone a compliment – Most people refrain from giving compliments, even to people they know. Its as though a compliment will detract from their own greatness making them feel inferior, but this isn’t the case. If you give someone a compliment for something well done, you will not be detracting from the awesomeness that is you, instead, you will be endorsing it and making that someone feel amazing at the same time. 8. Recycle it – There isn’t an excuse in the world not to recycle anymore. Everywhere you look there are bins to recycle in. Every day you recycle something, you are doing a good deed for mother earth and every living thing on it! This good deed is amazing and is not only a good deed for your immediate surroundings but for humanity. You cant reach anymore people than that. 9. 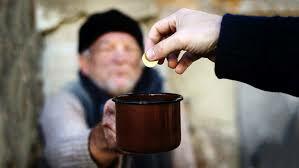 Give something, just some spare change – Every day you have an opportunity to do good deeds involving money. There isn’t a day where we walk down the street and see someone less fortunate than ourselves. Dig deep and spare a little a change. There are so many ways to give away some change, think of the old woman in the supermarket queue who is short some change, the child who wants that extra sweet but doesn’t have the extra few pennies to buy it. If you have some extra change burning a hole your pocket heavy you might as well do a good deed with it. 10. Do anything else that helps other people – It really can be that simple. Make a pledge to yourself today and adopt a good deeds day every month and make it your duty to do a good deed. The world needs you and you need it. Do the drugs actually work?